Nearly all the athletes I coach have a power meter (like you, I bet, since you’re reading this piece), and power is the primary metric used in training for cycling. However, there are times when I prescribe workouts using heart rate as a guideline and analyze power only retrospectively. For example, I might do this for athletes focused on ultra-endurance events, those focused on long charity events, or those returning from injury or overtraining. This article explores how coaches and self-coached athletes can use heart rate with other WKO4 metrics to maximize aerobic development and provides an example of how to use WKO4 to help determine when to change an athlete’s focus. First, a brief explanation of what I mean by “aerobic development.” As with so many terms in endurance training, different people may have different ideas about aerobic development, as well as different approaches to reaching that goal. In this instance, I define aerobic development as the ability to produce the maximum output (power or pace) at an intensity at which the body is still primarily relying on fat oxidation to fuel its muscles. This intensity itself goes by different names. Some say it is training at an intensity below the “crossover point” (that is, before your body begins to rely primarily on glycogen). Joe Friel has referred to it as the “aerobic threshold.” Dr. Phil Maffetone dubbed it the “Maximum Aerobic Function” (MAF) heart rate. The most accurate way to determine this point is, not surprisingly, to get oneself tested with a metabolic cart in a lab, but there are ways to estimate it. I prefer the MAF method because of its simplicity: subtract your age from 180, and there you go. I would note, however, that there are various adjustment factors based on things such as training or illness status; see the link above for details. Once the intensity is determined, the training is simple: go out and ride or run at that intensity, the longer the better. Ideally, the minimum duration of a session is tied to the duration of a goal event. Athletes using this method and focusing on shorter events would target a minimum of two to three times the event duration in training. The longer the goal event, the closer to event duration the training duration should be. All athletes would benefit from periods of aerobic threshold (AeT) focused training, but for some athletes, especially long-course triathletes or others focused on ultra-endurance or long charity events, or those following a polarized model, the bulk of their training might be at this intensity. This is not to suggest that other areas are neglected. In fact, one of the great things about WKO4 is how easy it makes it for coaches and athletes to know when it’s time to move on to the next focus. Athletes recovering from injury or overtraining would also benefit from a AeT focus, as it is generally easy enough to build volume without creating unnecessary stress. As I mentioned at the beginning, training by heart rate does have some drawbacks, the most significant of which is that without some measure of output, there is no way to gauge progress. Your heart rate can be elevated by all sorts of stressors, exercise being only one of them. This is where the Efficiency Factor (EF) metric comes in (this is built into Training Peaks and WKO4). EF is the Normalized Power® (NP®) or pace for a workout divided by the average heart rate for that workout. When combined with training by a fixed aerobic heart rate, EF provides a snapshot of training progress, essentially turning every workout at AeT intensity into an informal test session. The beauty of WKO4 is that it allows almost endless flexibility to analyze workout data, and there are several different ways I track EF for these types of aerobic workouts. One method is to select all workouts for which the average heart rate was equal to or less than the athlete’s AeT heart rate. However, this is less than ideal, because it will also catch workouts in which the efforts are highly intermittent, such as a sprint workout. A 90-minute sprint workout may have an average HR that falls into the AeT level, but the physiological strain will be very different. Incidentally, this is another drawback to training exclusively by HR; its value decreases significantly the more intermittent the intensity of the effort is. The easiest way I have found to track AeT workouts in WKO4 is consistent use of workout titles or tags and then filtering workouts by title or tag. This allows me to pull all AeT workouts and track their EF. In the example below, the athlete was following a polarized model, doing mainly AeT-style training on the bike with a high-intensity session every 10 to 14 days or so, as well as strength and high-intensity work with kettlebells on a regular basis. The screenshot below shows an athlete who seems to be improving aerobically, but to confirm this, WKO4 also allows you to plot a trend for your data, seen below. Doing this shows a distinct upward trend in EF for all these workouts, which suggests continued aerobic development. 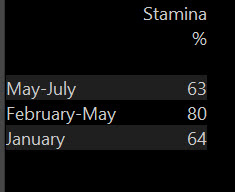 This suggestion is backed up by comparing the athlete’s Stamina score during the AeT focus with his Stamina score during the surrounding months. The AeT work has helped this rider improve his ability to ride for extended periods at subthreshold intensities. Before and after the AeT focus, it declines significantly. However, a quick look at some of the other metrics revealed that other aspects of fitness were also being neglected. Below is the athlete’s modeled FTP for the same period calculated for the past 30 days. As you can see, it is trending down. In short, it was time for a higher dose of intensity. We set up a two-week block of training focused on VO2max intervals in early May, and this reversed the downward trend so that the athlete hit his highest mFTP numbers right at the end of June, just in time for some important mountain bike races before starting a mid-season break. Hopefully, this brief example illustrates how the flexibility built into WKO4 allows coaches and athletes to combine different training approaches, track progress, and know when it is time to change things up. 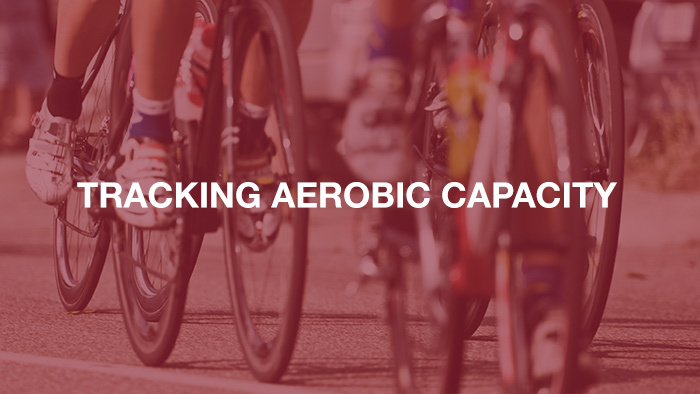 Track aerobic fitness and other key metrics with a free 14 day trial of WKO4. Christian is a USAC Level 2 coach who currently coaches through Peaks Coaching Group. He started training with power in 2006 and earned his USA Cycling certification the same year. He works with cyclists of all levels, from beginners to Cat 1. Read his full bio here .